Turning three, ready for training, a real beauty! Madeena RE, Deena for short, is smart, responsive, friendly. She is well-grown,looking far more mature than she did even six months ago. She is approximately 14 hands, will probably grow a little more. 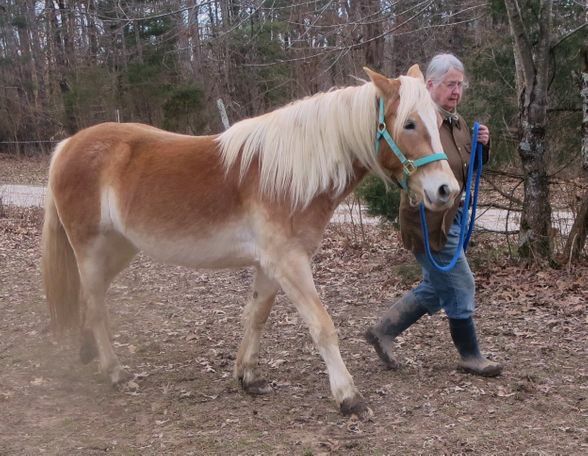 She has a typical Haflinger thick mane and tail. Since she was born my husband and I have been through a series of health crises which have prevented us from working much with her. She is sane--for instance, I was leading her through our woods, and didn't realize my jacket had goten caught in briers and kept walking. It made a loud ripping noise as I pulled loose. We both jumped, but she didn't even pull on the leadline and immediately started walking on calmly with me. So,as you see, she leads. 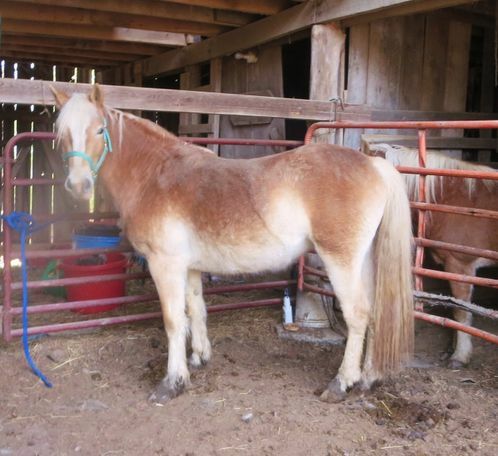 She also stands for the farrier, ties, and is in the process of learning to load. The rest will be up to you! 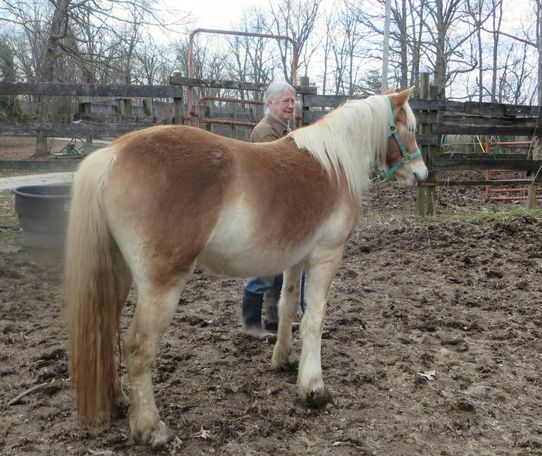 Farriers and vets who have dealt with her say she is a quick and eager learner. She has had 24/7 turnout since she was born, but is calm in her stall when left there while I am out driving. The pictures with this ad were taken at the end of February, at the height of mud season and beginning of shedding. 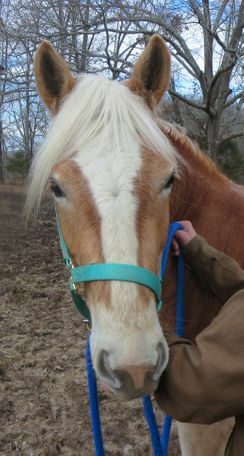 When she sheds out and the ground dries I will post more pictures. 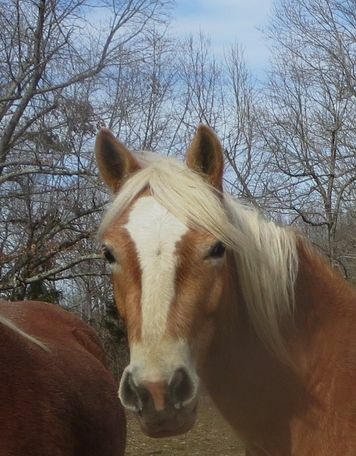 Her sire is Armani--go to Montel Haflinger Stables for pictures. Her dam's sire is MT. Marvellon.ROA She is a beautiful animal just floating with potential.